To celebrate our tenth Page Turner contest, we are making things even more interesting. This year, the door is open for both Fiction and Nonfiction manuscripts, with a winner from each category. It's time to get that first chapter and book overview ready for this year's Page Turner contest. This is one Page Turner Contest you don't want to miss. Apart from stirring you up to get that manuscript finished (or at least started) you have the opportunity to get some great feedback once the contest is finished (you just have to ask). Some people enter the Page Turner for the feedback alone. This is the biggest contest we hold each year--and this year we've doubled it. So if you are working on a fiction or nonfiction manuscript, or even have an idea for one in mind, this contest is for you. After you submit, I will contact you to let you know that your entry has been safely received. If you submit an entry and I haven't contacted you within a couple of days, PLEASE contact me and ask me to check. There is a link to my contact page (at Breath of Fresh Air Press) near the bottom of both the above pages. If I'm online, you can use the chat button for an immediate response. As always, the Page Turner contest is most definitely worth entering. 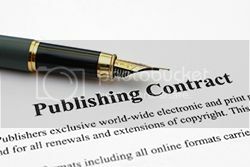 The winners are offered contracts for traditional publication. Just look at the cover of Theresa Santy's past Page Turner winner (due for release in March this year). Even if you are testing the water with your writing, give it a go for the feedback alone. You've got nothing to lose.